Efficient and personalized management of your real estate- or relocation mandate in Central Switzerland: YOUR HOME IS OUR PROFESSION. 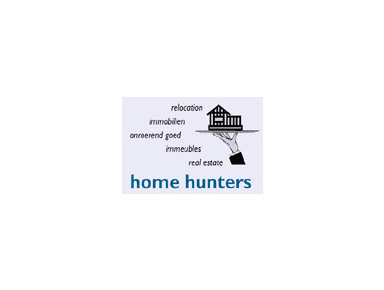 home hunters GmbH is a Swiss company, founded in 1998, specialised in corporate and executive relocation and real estate services. home hunters is a service. So we are here to represent, assist, relieve, support, guide and advise you and to guard you against pitfalls in the field of relocation and real estate. Usually the first step when a transfer is being considered. We know the region, the people, the habits and where to go. Let us take you around, show you points of interest and inform you on all aspects of working and living here. We are familiar with the housing market. According to your briefing we will find you the appropriate house or apartment and guide you through the involved dealings and negotiations. We know how to deal with a new home. We offer a comprehensive range of services to make your arrival and settling into your new home and surroundings as smooth as can be. Similar to the comprehensive range of services we offer for people arriving, we cover the same if required when suddenly the time has come to leave. Complete real estate services in the field of selling, renting and managing of your property. We have the time and expertise to meet all your needs optimally - just leave everything to us! Contact us for more information!